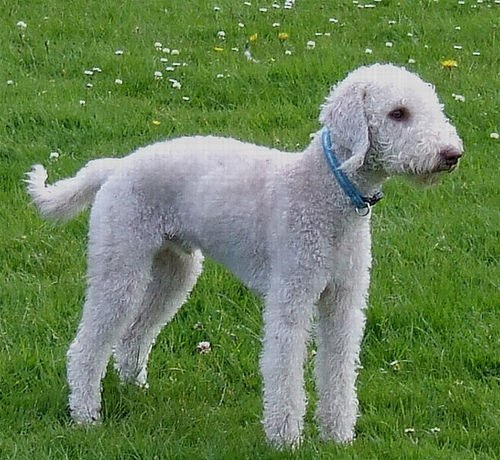 The Bedlington Terrier is certainly a unique-looking dog and is perhaps the main reason for wanting one. 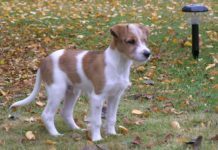 Other good qualities are that it is not too small, and is not fragile; does not shed a lot, if at all; is more relatively calm than are other terriers while indoors; and is fast, agile and loves to frolic. While they have a need to be very active, they have been known to snuggle with their caretakers even if the latter are couch potatoes. 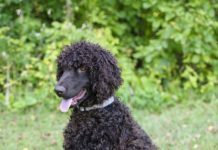 They are very prone to getting Copper Storage Disease (a disease affecting the liver) as one out of twenty Bedlingtons will get this. 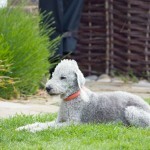 It can be diagnosed only through a liver biopsy. When they have puppies, there are 3 to 6 in the litter. 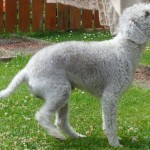 They began to be bred in the village of Bedlington in Northumberland in the North-East region of England (bordering Scotland). 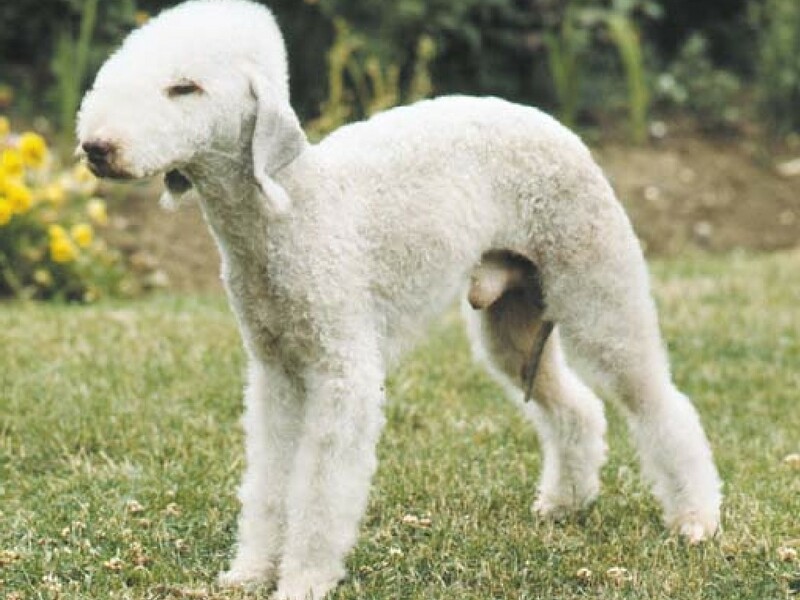 They were known as its alternate names because the Lord of Rothbury found these dogs to be endearing, and because of its lamb-like appearance. 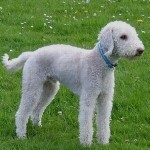 They were first shown in dog shows in 1870 at Bedlington. 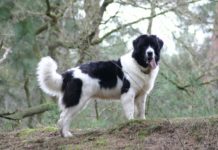 They are genetically prone to the liver disease known as Copper Storage Disease, hereditary kidney disease, thyroid problems and eye problems (such as cataracts and retinal disease), the last of which is the most common. Other than being predisposed to these problems, they are fairly healthy. 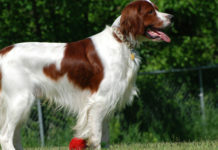 They are intelligent, playful, loving around children, and having a soft and kind demeanor. Yet, when they are challenged, they can be fierce fighters and it is commonly said of them that they have the face of a lamb and the heart of a lion. 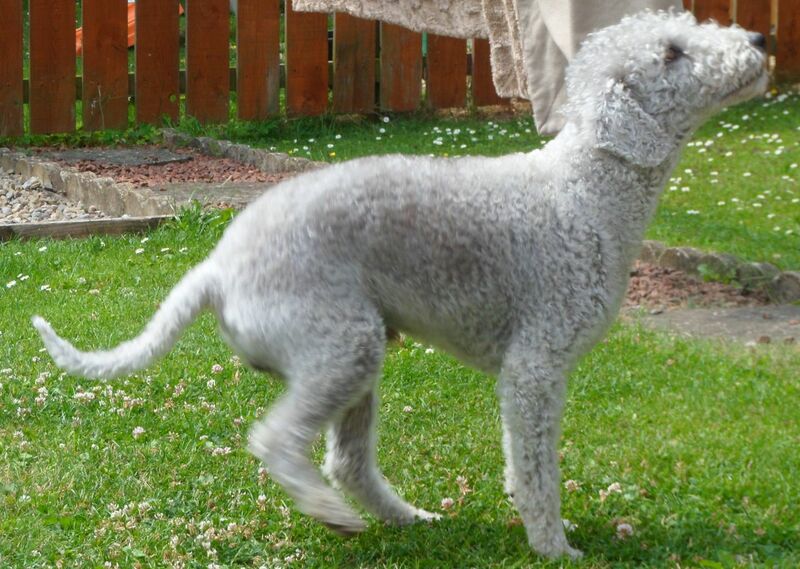 They do tend to run very fast and to jump high and to do this for an extensive amount of time. Yet, they can adjust to indoor life if given the opportunity to engage in such exercise. 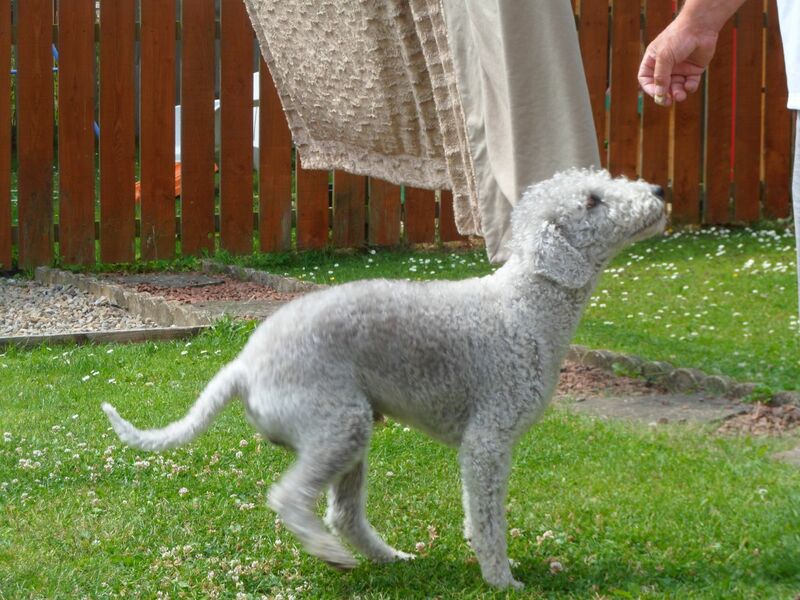 As with other, usually small, dogs they can be quite stubborn hindering their ability to be trained and to learn. A trainer often needs to be stern in order to make an impact. 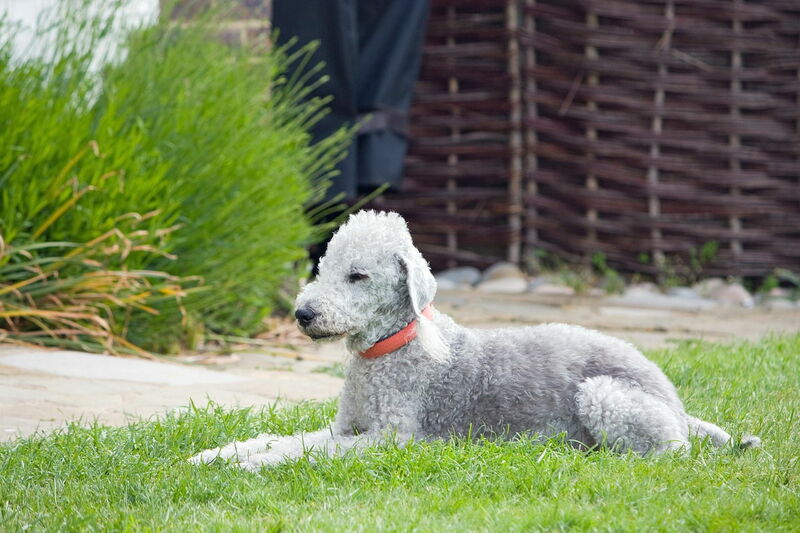 They get along quite well with children and with pets, provided that the Bedlington Terriers are acquainted with them from a very young age. They are quite good with children. They may have the stereotypical antagonistic relationship with cats. 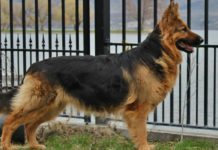 They are more friendly to other dogs. 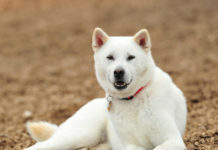 With both cats and dogs, they can be more friendly provided that they know of them when they are puppies. It can be a great challenge to train them. It may be best to leave that to a professional. 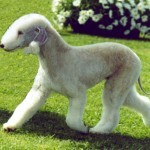 They rank just one star out of five in regards to shedding. 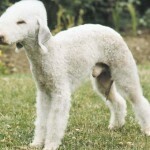 Their thick, curly hair and frequent shedding makes this a problem. 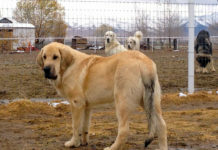 They are a good watchdog; they bark often and will fight if threatened. 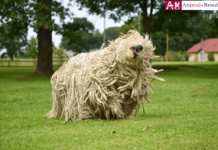 They have often been described as being intelligent. 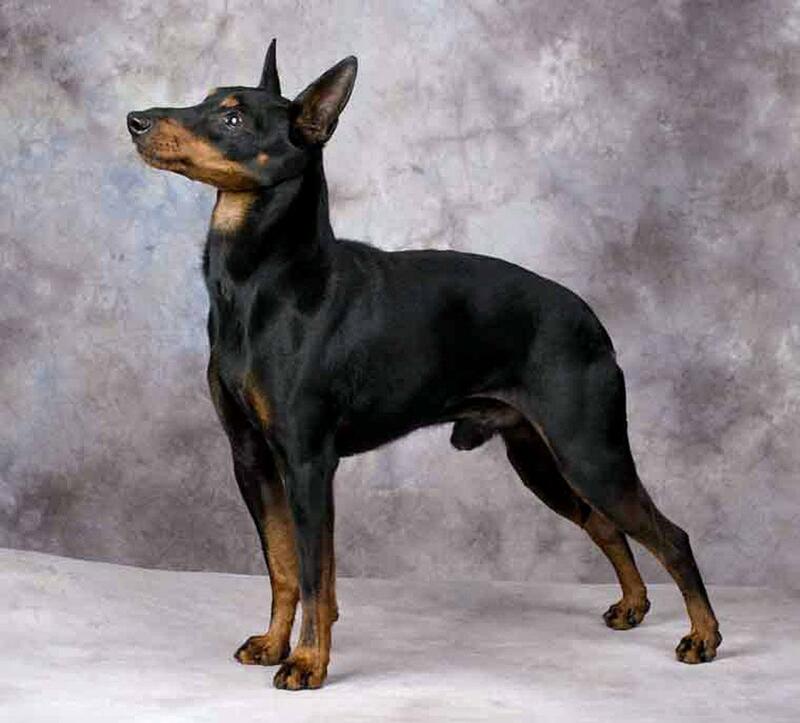 However, they may not be as intelligent as are other dogs. Grooming is another challenge. 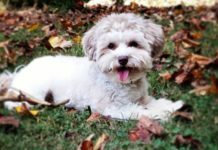 To keep their fur free from being matted, there needs to be frequent brushing, and trimming of the fur every one to two months. They are not popular or common. 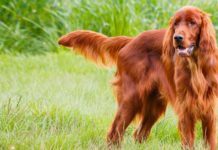 In the United States, only 200 new ones appear each year, as opposed to 60,000 Golden Retriever Puppies. They are better than average in terms of adaptability. 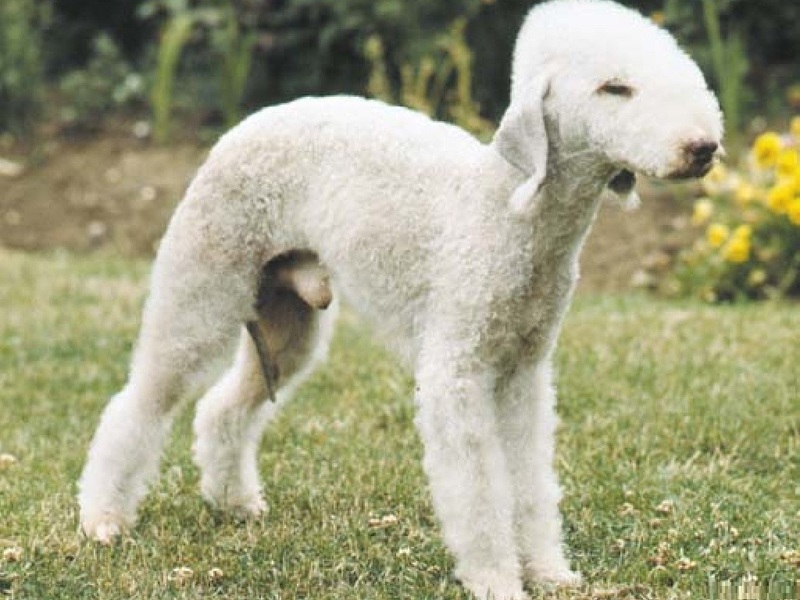 Although the fur is a disadvantage, it is also an advantage as Beddlington Terriers are hypoallergenic! 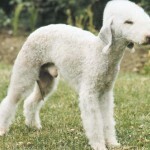 There are many, important things to know about the Bedlington Terrier: the temperament that is common to terriers: quick to bark, quick to chase, independent, stubborn, bossy, feisty, scrappy, impulsive, intense, persistent, clever and lively; they must be provided enough physical and mental exercise; they can be aggressive, especially to smaller animals such as cats, rabbits, or hamsters; they must be in a secure and confined area–if a leash is taken off from them in an open area then they will run everywhere; they are very prone to barking, and often have an annoying high-pitched bark; they are extremely independent, so that they must be trained from birth that they are not, in fact, the rulers of their domain; grooming needs to be done frequently and can become a chore; they have many unique health problems; and getting one (if you want one) can be difficult as they are scarce. 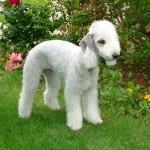 The fur does need to be brushed, washed and trimmed frequently. 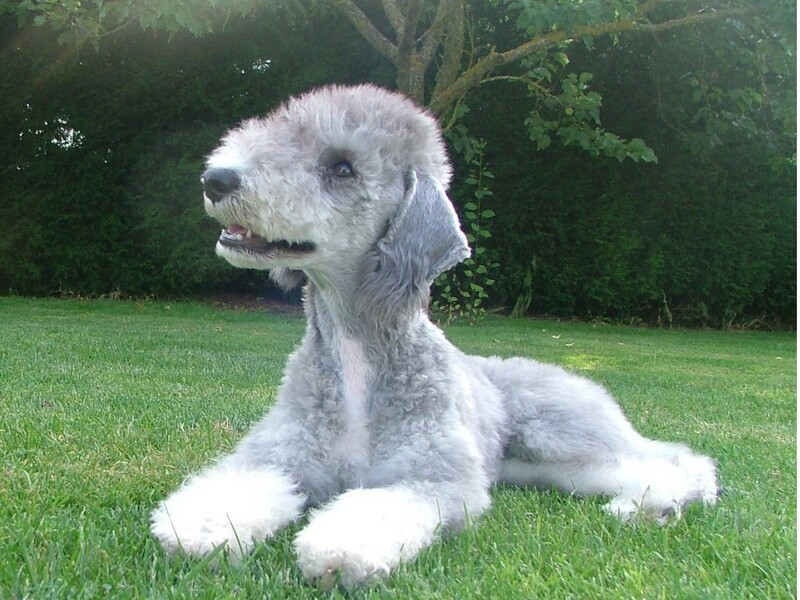 However, there is little need to be concerned about shedding as it is virtually nonexistent. 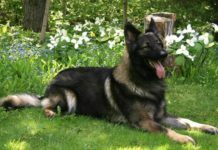 There are no specific or unique dietary concerns so they can be fed standard dog food. 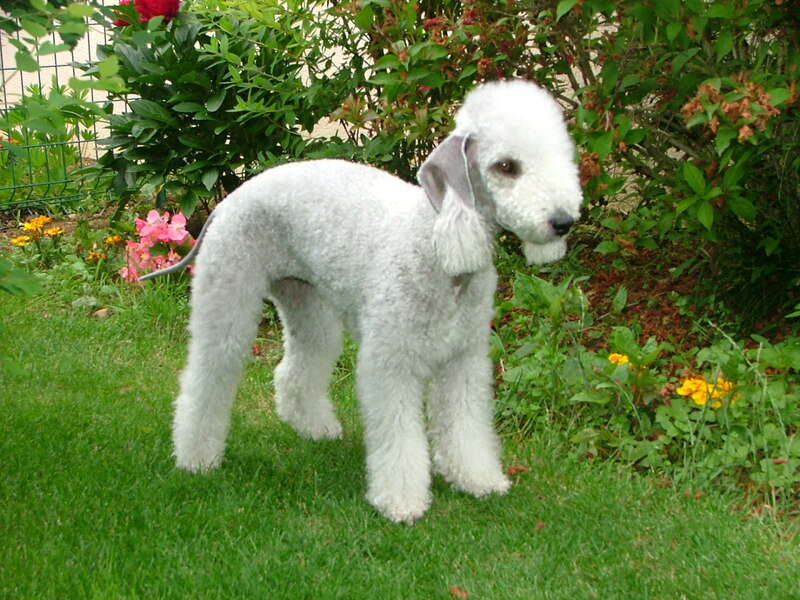 The name of this dog is Bedlington Terrier. 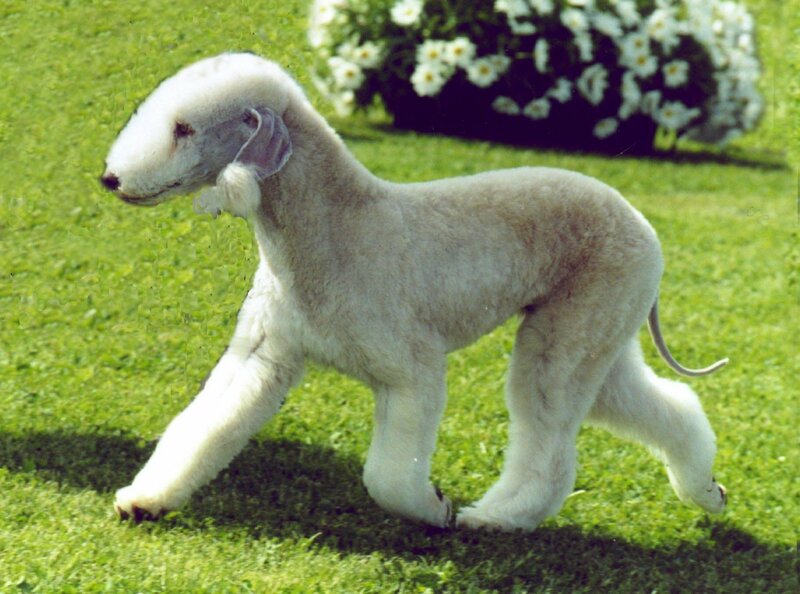 It is also known as Rothbury Terrier, Rodbery Terrier and Rothbury’s Lamb. 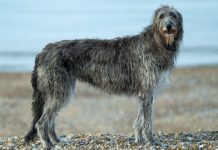 They were first known in England in 1825, although their ancestry is known to have gone back to 1782. 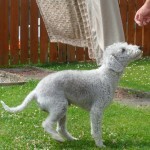 As are most other terriers, they are generally small to medium. 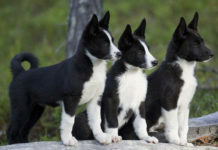 Their breed group is the terrier. 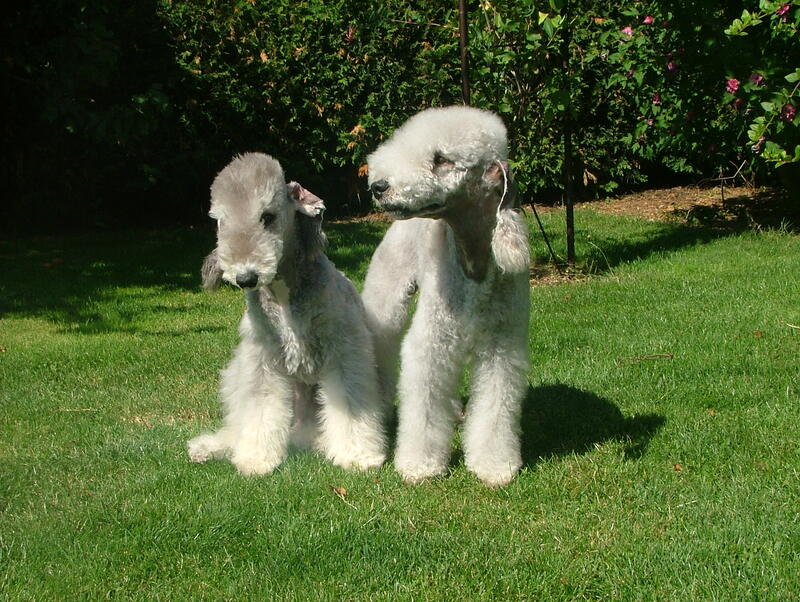 Their life span is narrow and predictable, with a life expectancy of 13.5 years, although they can live to be 17 years, and one woman reported her Bedlington Terrier to have lived for 23 years. 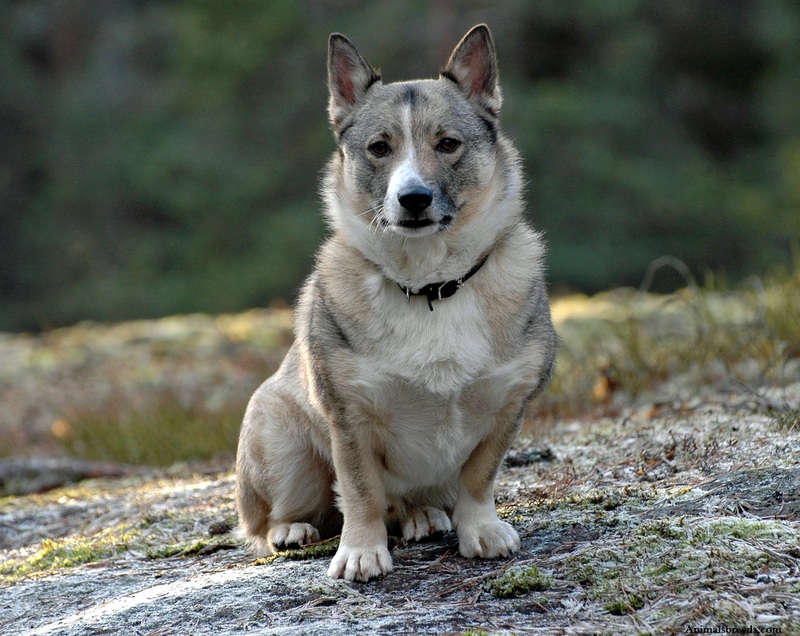 There is very little difference in heights for adult terriers, with males being in the narrow range of 16 to 17.5 inches (41 to 44 cm) and females being in the equally small range of 15 to 16.5 inches (38 to 42 cm). 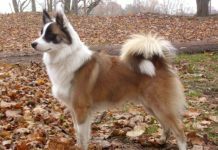 Both males and females are within the range of 17 to 23 lbs (7.7 to 10.4 kg). 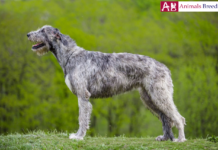 They tend to be monochromatic with white, off-white or various shades of gray being the most common, although they can also be liver, blue or sandy in color. They can be quite expensive. 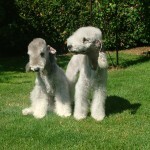 Two puppies are currently being offered, both of which are $1,800, although at other times they can be as low as $1,200. They tend to be active, so they sleep a normal amount of time. 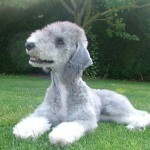 It is closely related to Dandie Dinmont Terrier, the Otterhound and the Whippet.